Ingress, as we know it, is an integrated access control management software which comes with a complete solution for centralizing, managing and monitoring door activities of all FingerTec’s access control devices. Naturally, most of the settings in this software are of door access settings. 2. Reset the whole access settings of the software, without initializing the whole system. 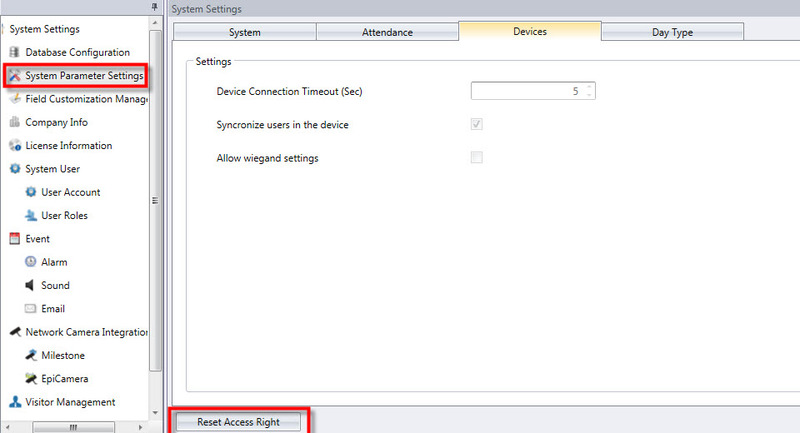 Go to Doors tab > Click on the door that you want to reset the settings > Access Group Tab > Reset Access Right. By doing this, all access settings of this door will be reset to its default settings, and the settings for other doors will remain unaffected. By performing these steps, all the access settings in Ingress will be cleared and restored to its default.